At Happy Kids we work with you to give your child the best possible experience. We hope you find this information useful but if there’s anything you think we’re missing please let us know. We always want to hear your ideas and opinions at Happy Kids and we look forward to getting to know you and your child. Your child may have already started their settling in to preschool nursery. We do lots of things to make this as easy as possible for you and your child. To help us with this we ask you to complete This is me at Home with your preschool nursery manager. It asks simple questions about what routines you may have at home, likes and dislikes, what your child likes to play with or anything else you feel would be useful for us know about your child. We can then plan activities to help your child develop new skills and make them comfortable and settled in the preschool nursery. In your welcome pack you will be given some information about who your Key Person at Happy Kids is. You can also find this information on our notice boards in the welcome area of the preschool nursery. Your Key Person will be one of our team members who will develop a close relationship with you and your child. Having a Key Person helps your child to feel settled, happy and safe. They are responsible for your child’s care, development and learning. They can offer advice on things like getting more regular sleep patterns and trying different foods. They will also support you in giving you ideas on what learning you can do at home with your child and keep you up to date with your child’s progress. Feel free to talk openly with your Key Person; we understand that you know your child more than anyone else and we value any ideas you have. When you collect your child they will give you feedback about your child’s day and share significant events with you. Although your Key Person will take the lead role with your child, all team members will be involved in your child’s progress and achievements during their time at Happy Kids. 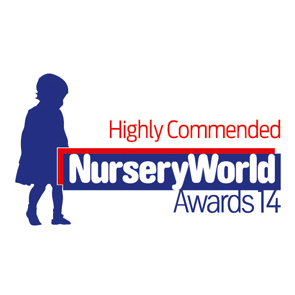 Happy Kids follows the national Early Years Foundation Stage framework (EYFS.) The EYFS sets standards for the learning, development and care of children from birth to 5 years old. 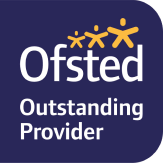 All schools and Ofsted registered early years providers must follow the EYFS, including childminders, preschools, nurseries and school reception classes. The team at Happy Kids will observe your child and plan activities so they can develop in these areas of learning whilst having fun in play. This makes sure they have the skills they need for school and future life. We have lots of fun ideas you can also try at home that will help your child learn and have fun! See our Happy Kids at Home page for details. More information can be found about the Early Years Foundation Stage in the Foundation Years EYFS_Parents_Guide. As part of the EYFS, when a child is aged between 2 and 3 years old you will receive your child’s “this is me at 2 which is completed by our team with input from you. It will show you how your child is developing across all the prime areas of learning. These are not tests for the child the information is collected based on our team observing your child whilst they play. This information is used for you and our team to decide which activities will best support your child’s next steps in learning and development. Throughout your child’s time at Happy Kids we will show you all those achievements, special moments, artwork, photos and fond memories and add these to your child’s learning journey which captures your child’s progress at Happy Kids. Learning takes place in many different situations and all of a child’s experiences are valuable to their Learning Journey. Your Key Person will talk to you about how we can capture these together. This Learning Journey can be shown to your child’s new school so they can see how well they have developed at Happy Kids. This is then yours to keep and cherish forever. We will always welcome you into the preschool nursery, we recognise it is you who remain the most important influence in your child’s life. We welcome any ideas, feedback, queries, or comments you have about your child’s care and the preschool nursery. We are here to listen to your views; if you are unsure about anything or feel there’s anything we can do better please talk to one of our friendly team. And if we are doing something well please let us know – we are always looking for ways to make your experience with us the best it can be. What’s it like for a child at Happy Kids? Find out about our preschool nursery’s daily routine day in the life. Find out about the different areas of our preschool nursery and what your child can learn while having fun! Your child’s care and wellbeing is our priority here at Happy Kids. We have a set of policy and procedures which protect your child and ensure a safe and secure environment for everyone. These are available from the welcome area for you to view at anytime. We have also put a selection of the policies and procedures below for you to download. Our nursery will work with children, parents, external agencies and the community to ensure the welfare and safety of children and to give them the very best start in life. We follow safeguarding policy and procedures as defined by the Local Safeguarding Children’s Board (LSCB). You can view our full policy and procedures in the welcome area at the nursery. We have built strong partnerships with professionals and organisations including local schools to give your child the best possible care and easy move into school life. If your child has special educational needs, talk to our specialist practitioner in the preschool nursery (called a SENCO.) They have specialist knowledge and training and can get access to extra advice and support if needed. We also talk to you if we identify in preschool nursery that your child may benefit from additional support. Inform the preschool nursery of this person’s identity so we can talk to the child if appropriate. This will help to reduce or eliminate the distress that may be caused by this situation. This designated person must have completed an authorised person form and know the individual child’s safety password for us to release the child into their care. In order to provide this additional care a late fee of £10 for every 15 minutes or part thereof will be charged to you. This will pay for any additional operational costs that caring for a child outside their normal nursery hours may incur. Happy Kids staff are trained to observe children and as such will be sensitive to any changes in their behaviour and personality. We ask that you inform us of any changes in the home environment that may impact on their child so staff can be aware of the reasons behind any potential changes in the child’s character. Children will eat in their nursery room, sat at tables and are encouraged to help themselves to food and drinks. We encourage healthy eating and the children are provided with water or milk during the day and at meal times. If you have any menu suggestions or specific requirements for your child please let us know. We love to hear new ideas. Please send your child to preschool nursery in appropriate clothing for the weather conditions. This includes warm waterproof footwear and jackets in the winter and sunhats and protection for the summer months. After lunch tends to be the time that most babies and toddlers have a sleep, but children can sleep anytime that suits them. We have cots and a rest area which children can access independently, sometimes a member of staff will sit with the children until they go to sleep, reading a book or cuddling them to sleep if necessary. They are then checked every 10 minutes whilst asleep, and a record kept. Staff will keep to your child’s routine as much as possible. Please do not bring your child into the preschool nursery if he/she is unwell. If you have had to administer liquid paracetamol to your child please do not bring them into preschool nursery as this may temporarily mask symptoms. Children cannot attend Happy Kids if they are infectious as this would be unfair to other children and staff. If your child becomes unwell we will use your emergency contact numbers so they can be collected as soon as possible. The key person will initiate conversations with their key children, who are due to move to school, about the school and discuss what they think may be different and what may be the same. They will talk through any concerns the child may have and initiate activities or group discussions relating to any issues enabling these to be overcome. Happy Kids will create a learning journey throughout your child’s time at Happy Kids. It shows all the achievements, special moments, artwork, photos and fond memories which captures your child’s progress at Happy Kids. This Learning Journey can be shown to your child’s new school so they can see how well they have developed. These steps along with the communication and social skills they develop at Happy Kids will help the children to become familiar with school life and take their next steps along their journey. Anyone who has a Happy Big Kid and would like to share their photos or successes please email debbie@happykids-childcare.co.uk. 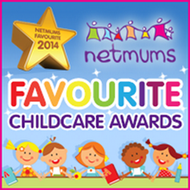 Click anywhere in this box to find out whether you could be eligible for free childcare.